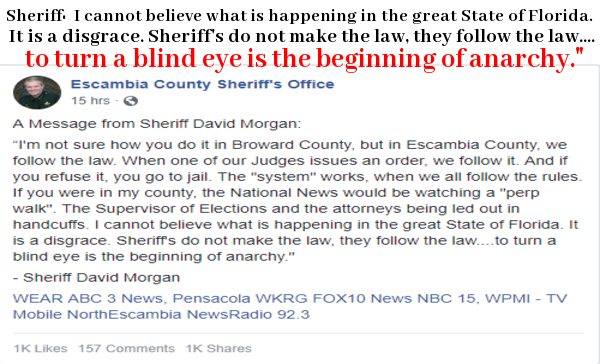 While Escambia County, Florida Sheriff David Morgan recently sent a facebook message to Broward County, Florida following the massive mid-term election voting fraud that is taking place there: "If you were in my county, the National News would be watching a 'perp walk'", if Brenda Snipes were trying to pull the kind of shenanigans she's trying to pull now in, say, 18th century France, the 'perp walk' would be a 'do not pass go, do not collect $200' walk straight to the guillotine and 'off with her head' for attempting to steal an election. As Susan Duclos reports in this new story on ANP, the corruption surrounding the election now in Broward County, Florida, warned of by President Trump himself, is not only completely illegal but those carrying out could care less about the glaring eyes of America burning down upon them with even the Washington Post reporting on November 9th that Broward County is a hot-zone for election-night chaos and malfeasance. And when we look closely enough into not just the elections over the years but into the previous history of corruption in Broward County, Florida, it might not be a stretch to suggest that Broward County itself is firmly entrenched as one of the homes of the globalists and that much of the filth of crookedness and deception we're now witnessing ALL across America has originated within that county. Partially the home to the Congresswoman Debbie Wasserman Schultz and her district, we also see Broward County home to corrupt Sheriff Scott Israel of the Parkland High School shooting fame as well as the kid anti-gun activist and globalist shill David Hogg not to mention Broward also being the home to recent #MAGABomber Cesar Sayoc. And they all lived within several miles of each other. Is something much more than meets the eye and the national media's attention going on in Broward County, Florida? The corruption surrounding Wasserman Schultz is legendary with the Awan brothers having firmly infiltrated her office and computers yet as Fox News reported back in July, the United States Justice Department under former Attorney General Jeff Sessions quite literally helped cover up the spy scandal in at least 40 Democratic offices by giving Imran Awan a sweetheart plea deal. Also having helped Hillary Clinton fix the Democratic nomination in her favor as the former head of the DNC while casting Bernie Sanders and his legion of supporters away, the fact that Wasserman Schultz is still in Congress despite the corruption following her around is another perfect indication that most Americans don't pay the least bit of attention to what is going on in the real world, with Hillary Clinton still talking about potentially running for president again in 2020 when she should be in prison another perfect example. Even President Trump tweeted back in June that the United States Justice Department must not let Wasserman Schultz off of the hook for her role in the IT scandal surrounding plenty of Democratic Congressional candidates yet the Justice Department did just that and now she's back in Congress again. And any talk of Broward County corruption cannot be complete without remembering the mysterious death of Federal Prosecutor Beranton L. Whisenant Jr. back in 2017 when his body washed up on a beach in Hollywood, Florida. Whisenant had just started a new job in the Miami office of the US attorney's office months before his death and while his death with a bullet wound to the head was officially determined to be 'suicide', internet rumors suggested that Whisenant had been investigating Wasserman Schultz and her possible ties to the death of Seth Rich. Others suggested Whisenant's death was another on the 'Clinton body count'. And with Broward County also the home to Sheriff Scott Israel, anti-gun activist David Hogg and so-called #MAGAbomber Cesar Sayoc, why are so many different 'globalist manipulating figures' living within one county? And then to top it all off, on the day that the President of the United States accuses Broward County of election corruption, the county has decided to hold a 'shred-a-thon' for county residents eager to dispose of 'trash' or incriminating documents as this new story from Chicks on the Right reports. Seriously!! 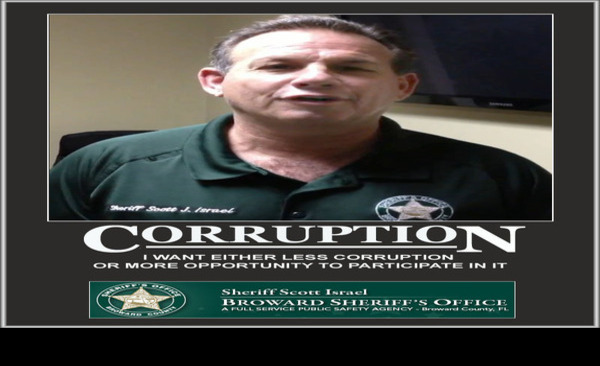 Even this 2016 thread over at LEO Affairs, the Voice of Law Enforcement Online, was titled "Corruption At Its Best" with a link taking us directly to the photograph seen above of Sheriff Israel showing us its not just 'awakened Americans' who see Israel as what he really is but other law enforcement officers as well who recognize him as one of the faces of corruption within law enforcement itself. And now Marco Rubio tweets that the Broward County Sheriff's office had just found a new sealed box Saturday morning which are alleged to contain more provisional ballots and as Rubio correctly points out, such a last second find with winners and losers on the line absolutely undermines public trust in the election and creates great opportunity for mischief, especially with Broward County itself and their Sheriff's office known as some of the nation's biggest laughing stocks for mass corruption. And as Steve Quayle mentioned to us the other day, how can any law enforcement bodies possibly clean up massive corruption when some of that corruption originates directly within their own upper echelons? As even President Trump himself had said of the massive corruption surrounding Hillary Clinton and the Democratic party, the Justice Department was built up to protect her and help cover up 'Clinton crime family' crimes and the mainstream media manipulated to help dumb down the American public to their crimes. So while the left screams and cries and kicks and moans about alleged corruption of President Donald Trump, there have been millions of us waiting for more than 30 years for a real investigation of the 'Clinton crime family'. And Broward County, Florida is clearly part of the 'Clinton machine' POTUS speaks of. And then we have so-called #MAGA bomber Cesar Sayoc who also lived in Broward County. With Sayoc coming along at just the right time prior to the election to stifle the momentum of Republicans, which up until the #MAGAbomber hashtag was created and pushed by Hollywood had been soaring, might Sayoc be another 'creation' of this Broward County deception machine? Infowars's Alex Jones and Roger Stone, a former adviser to President Donald Trump, theorized on Friday that 56-year-old Cesar Sayoc—the man suspected of mailing bombs to Democratic leaders—was actually set up to be a patsy. The two got into a back-and-forth on the subject on The Alex Jones Show, via a clip posted by the liberal group Media Matters for America (MMFA). The conversation centered on Sayoc, his van and the sheriff's office in Broward County, Florida, that has drawn criticism for its response to the Parkland school shooting last February. "Look at the timing," Jones said in the clip. "Look at the preprogramming. We've been predicting this was coming. This is incredibly synthetic, Roger." Stone responded with a "patsy" theory and with criticism of Broward County Sheriff Scott Israel, who has been criticized for his calls for increased gun control and for his officers' response to the Marjory Stoneman Douglas High School shooting on February 14. Stone said, "This guy looks to me like he's set up by a patsy. Let me note that, as far as I understand, he is in the custody right now of Broward County Democratic Sheriff Scott Israel, who was somewhat controversial earlier this year in his advocacy of taking away our Second Amendment rights." Jones responded, "And they are the same ones that admittedly stood down and let happen what happened, and—oh isn't it funny, everything magically happens in that trusted county." "It is very ironic," Stone agreed, according to the MMFA clip. Later he added: "But it is undisputed that the operation was bungled at Parkland school, where we had these tragic shootings. This is a partisan elected Democrat who I actually know, and the reputed bomber, the alleged bomber is in his custody. I'd like to know more about who made the arrest." 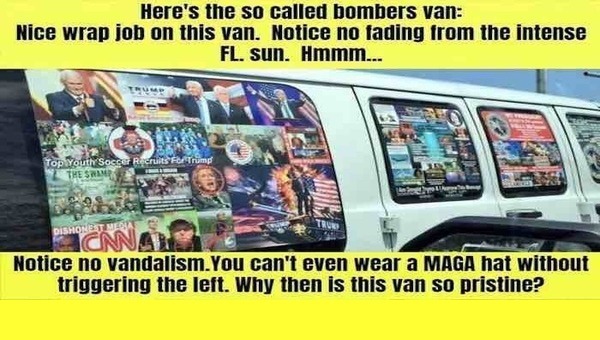 Jones followed up with a theory about Sayoc's van, which was covered in stickers showing, among other things, support for Trump and images of Democrats with red crosshairs over their faces. "Who had the tip, and who found this van that's all perfect and brand-new with all these perfect stickers on it?" Jones said. "Wow, I hadn't put two and two together, Roger: Broward County, the leftist stand-down sheriff, that's where you live." So what exactly is going on down in Broward County, Florida that has resulted in such obvious and widespread corruption, throughout not only the political apparatus there but also stretching into law enforcement as other law enforcement officers themselves have pointed out? 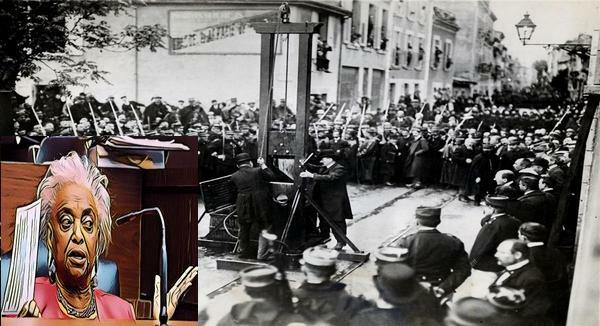 We've long believed that the globalists who rely upon mass deception to accomplish their goals often do so by making their ways into communities and completely taking over their political systems, immediately 'weeding out' those who refuse to go along with their plans as socialists also do. With Broward County, Florida possibly one such county that had already been completely taken over by such corruption, another community that may have been completely infiltrated as argued by some was Sandy Hook, Connecticut, where something much more sinister and rotten was going on there than just the 'event' that took place there. 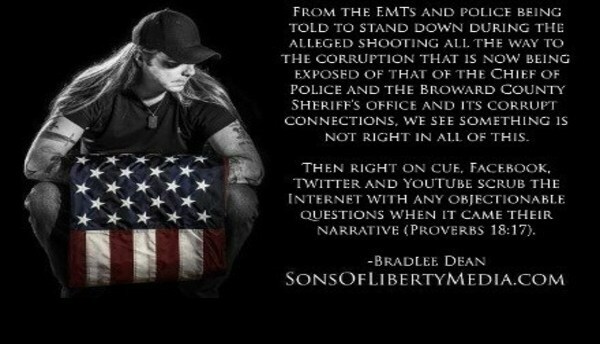 As Bradlee Dean of Sons of Liberty Media had pointed out of the Parkland High School shooting that both Sheriff Israel and David Hogg were tied to, from the EMT's and police being told to stand down during the alleged shooting all the way to the corruption that is now being exposed of that of the chief of police and the Broward County's sheriff office and its corrupt connections, something was terribly wrong in that Broward county incident. Also pointing out that right on cue, facebook, twitter and youtube scrubbed their platforms of any content suggesting systematic foul play had taken place along with content questioning the 'official narrative', we've seen the same globalist gatekeepers reacting similarly over and over again when these kinds of 'events' happen, giving Americans even more proof that something truly 'Orwellian' is going on behind the scenes. In the first video below, Fox News takes a long look at the long history of corruption in Broward County, Florida, focusing on political/election corruption and not all of the 'conspiracy theories' surround the filth in Broward. Meanwhile, in the 2nd video below, Representative Matt Gaetz from Florida argues on Fox News that Brenda Snipes is either incompetent beyond belief or corrupt to the core with no other explanation in between even possible. In the final video below which was recorded back in March before the latest election scandal, investigative journalist Laura Loomer joined the Hagmann Report for a discussion about Broward County and the 'culture of corruption' that has long surrounded what many believe is one of the most corrupt counties in this great country, and a stain upon America.